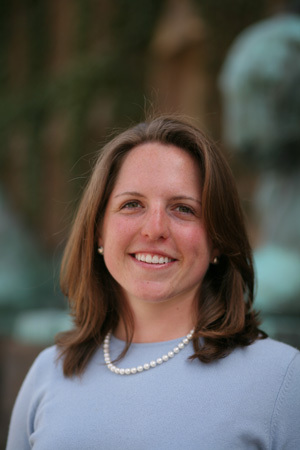 I grew up in Medfield, MA in a family with two younger siblings, so my big sister role inflects many decisions--from becoming a residential college advisor to tutoring low-income DC kids and championing CityBridge's philosophy of investing in education. I loved my Winsor School (Boston) years. Commuting to it turned out fine (2 hr. round trip) because I loved commuter conversations with my dad. I so thoroughly enjoyed Winsor that I was apprehensive about moving on. Friends kept reporting that college was better than high school, but little did I know. I ventured to New Jersey in a surge of independence from Boston and family. Once I stepped onto Princeton's campus (junior year spring break), I had an unshakable feeling that Frist Center camaraderie, the vibrancy of stand-out lectures, and the intensity of independent work – all of it created a great fit. I remember being struck by the palpable Princeton spirit. Students unabashedly wore orange and black, carried PU binders, and spoke adoringly of residential colleges. This wasn’t true elsewhere. The reciprocity of Princeton's commitment to its undergraduates resonated immediately. On campus, asking Professor Keohane to be thesis advisor was a turning point. After one seminar with her, and after seeing the highs and lows of others’ thesis work, I knew what I wanted: A process maximally demanding and fantastically memorable. Seeing Professor Keohane regularly was invaluable, and these discussions created a timeline for my senior year. She pushed my theoretical assumptions, research paths, writing, and provided unconditional guidance on leadership, career plans and graduate school. From our first meeting, I saw that our connection transcended the thesis, and I'm continually grateful for her generosity. I now see that philanthropy, educational reform and the relationships made in DC will inflect my future path. I already had high expectations, and devoted countless hours to senior year self-reflection and due diligence to prepare for my first job, but I could never imagine how fantastic my CityBridge work would be. I learned a valuable lesson: Exceptional colleagues make all the difference. CityBridge offers more than a job. One of the great surprises of the "real world" is that I often have minimal homework, so I’ve had a blast exploring DC in my free time. Having Princeton friends here has added to these first months immeasurably. We’ve introduced each other to new friends, and see this young professionals’ network here as almost limitless! After four years on the Princeton golf team, I also see that it’s hard to maintain any golf game with occasional playing and weekend practice. But the game remains (and will remain for a long time) as much fun as ever. One Plug: Know any non-profits that wil host Project 55 Fellows? Please contact me (caitsull.07@gmail.com) or our Exec. Director Kim Hendler (khendler@project55.org). If you have ideas about host organizations, see https://www.pcw-dc.org/article.html?aid=199.